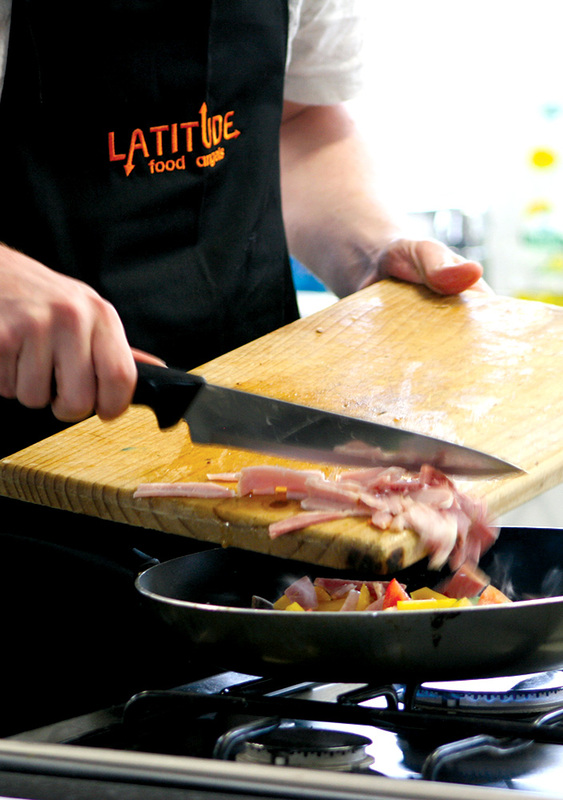 Thinking creatively, Latitude develops programs to meet current and emerging needs. Supporting and building on Case Management Practice and providing opportunity for Prevention and Early Intervention for young people. Established in 2008 as WynBay Power, the football team has cemented its place as a key Latitude activity. 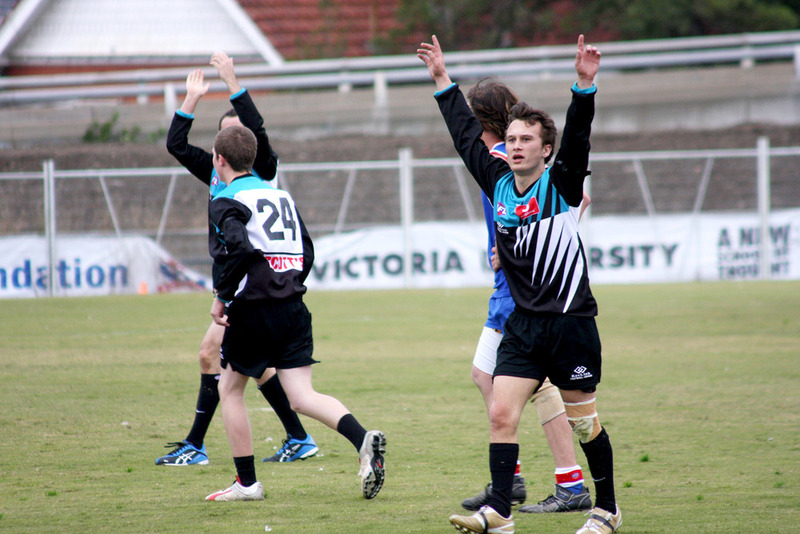 In 2014, following two years of partnership, the team formalised its relationship with Western Bulldogs to become the WynBay Bulldogs. Playing within the Reclink Australia League, it is a shining example of collaborative practice, particulary in the area of Prevention/Early Intervention. The partners include: Latitude, Victoria Police, Western Bulldogs, Hobsons Bay Youth Services, Wyndham Youth Services, Reclink Australia. The success of the partnership is built on a shared understanding of the issues facing disadvantaged young people, recognition of barriers and a commitment to reinforcing positive behaviours. The team has grown and developed, and for some participants forms a significant part of their lives. From Latitude's perspective, the team has strengthened collaborative practice amongst agencies, most importantly it has supported case management for Latitude service users and provided opportunity to intervene before the experience of homelessness is the only option. Latitude first piloted this program with SecondBite in 2011 as Food Angels - a nine week program that develops food knowledge and skills with the provision of a fresh fruit and vegetable hamper, provided by SecondBite. Since its inception, Latitude has worked closely with SecondBite to develop the program that is now delivered as FoodMate in a variety of case management settings across Australia. For us it has been a huge learning curve as we have adjusted our thinking around how we view the health and wellbeing of our young people. The program provides hands on food preparation, food education delivered in a fun way and, most importantly, the sharing of a meal. The final session is a cook-off - muffin and frittata in 40 minutes in front of guest judges! The program supports a range of case plan goals: budgeting, literacy and numeracy, physical and mental health, and social isolation, just to name a few. 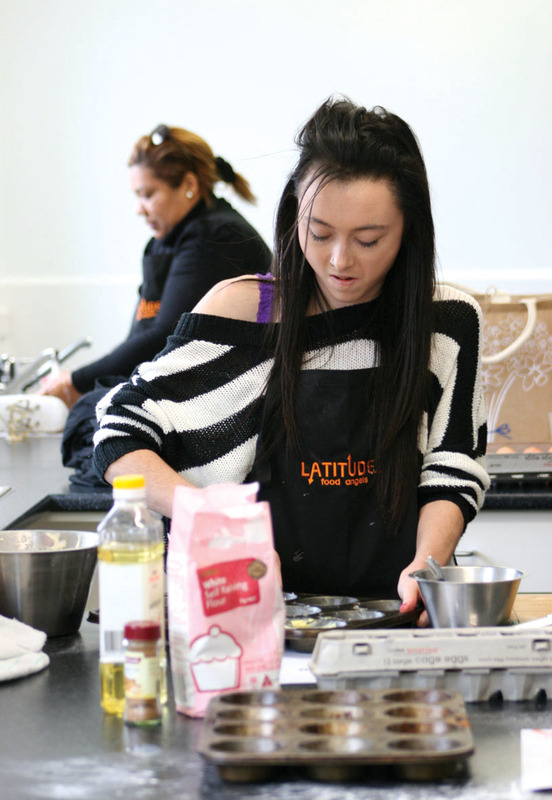 Through participation in FoodMate our young people have gained confidence, greater insight into substance misuse and its effects on their bodies, and, for those who also play football (WynBay Bulldogs of course! ), the knowledge that eating well can mean playing well! First delivered as a pilot in 2012, the Men’s Group has cemented it’s place in the Latitude program calendar. The program focuses on the development of positive relationships and communication all wrapped in activities that promote thought, planning, strategy & trust. The group is supported by mentors recruited from the community. Mentors participate in activity sessions. Young men only theory sessions aim to challenge the young men’s perception of positive communication and healthy relationships. Activities are designed to encourage participation, teamwork, strategic and consequential thinking. Most of the young men presenting at Latitude have not had positive male role models in their lives and this has impacted heavily on their behaviours and understanding of what it is to be a man. The program provides young men the opportunity to experience a positive relationship, in which both parties are without vested interest, other than to participate in shared activities and enjoy the time together. It’s a great way to connect and participate in the community.